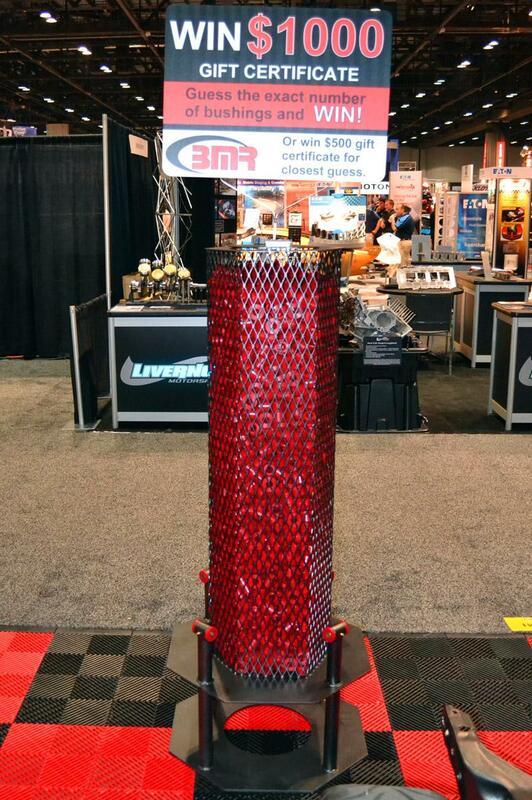 During this year’s PRI Trade Show in Orlando, BMR Suspension gave each and every attendee the opportunity at a gift certificate by guessing how many bushings were in the display pictured below. An exact guess would be rewarded with a $1k BMR gift certificate. It was interesting to watch people attempt to calculate quantities, measure volume, use specific dates as guesses, etc., etc. In all, we had a few hundred people attempt to guess. We are pleased to announce that Chad Haughton was the winner of a $500 BMR Suspension gift certificate by having the closest guess (1836) in our bushing contest. Chad had participated in the contest by stopping by our booth Saturday. 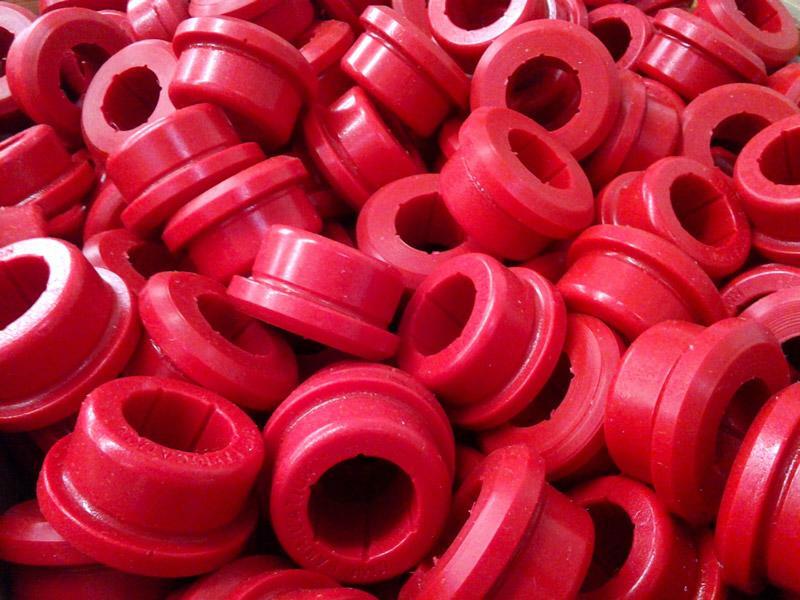 We tallied the bushings here at the shop and determined that Chad had the closest guess to the total (1837). We hope you all enjoyed participating in our contest at this event and hope to see everyone again next year.